As Obamacare compels people to buy insurance yet still fails to hit coverage targets — hitting only 46 percent of original CBO projections for the net decline in the rate of uninsured — it’s time to repeal it and replace it with a winning conservative alternative. Has Obamacare Fixed U.S. Healthcare Inflation? Medical inflation is down mostly because overall inflation is down, and if anything the evidence suggests that Obamacare has increased medical inflation ‎versus what it otherwise would have been. As thorough analysis by a Duke University health policy scholar demonstrates, there are about five times as many losers as winners under Obamacare. From higher taxes on the middle class to higher costs for coverage, President Obama’s promises for “universal,” “affordable” health care are not remotely matching up to reality. 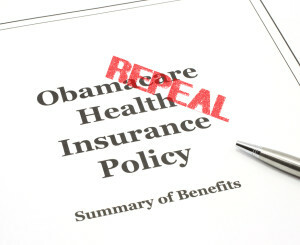 This piece offers concrete examples of how the structure of Obamacare’s exchanges, coupled with President Obama’s unilateral employer-mandate delay, provide fertile ground for fraud.